Flat 70% Off till 30th April! bdmarriage.com is one of the leading and most trusted matrimony website in Bangladesh. We are providing the most secure, trusted and reliable platform for all the members to find their preferred life partner. 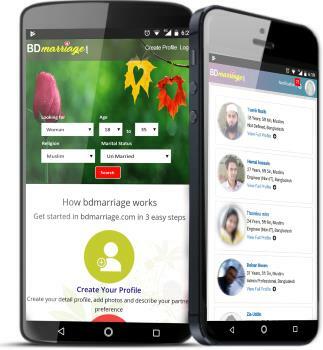 Use bdmarriage.com in your phone to search, view, message & chat with others. Download the app and get started! Keep is touch all times. Have fun!